When looking for a good romance novel I am a sucker for anything that is a period piece especially if it is set in Scotland or England. 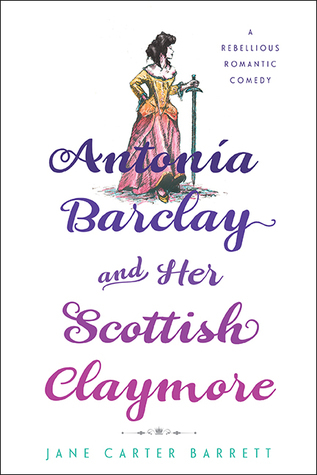 As I sat down to read Jane Carter Barrett's book Antonia Barclay and her Scottish Claymore I had only the expectations of a nice quick, light read for a long car trip from San Diego back to Washington state my family had planned for last week. This book however is not just some fluff romance but a romantic comedy adventure set in 1586. Antonia Barclay is an independent young woman unlike most of the women of her time she doesn't dabble in fashion, balls, and eligible young men of the country. She prefers to be out on horseback riding around dressed in her twin brother's clothes. Her three older brothers are exasperated by her behavior. She is cornered by her mother one day and is blackmailed into attending a ball which is the exact type of social situation Antonia avoids. The night before the ball she finds herself faced with two men of opposite nature, one a scoundrel and the other a gentleman. Antonia quickly finds herself falling in love but not before her whole life is turned upside down and a grand adventure awaits her. What I found the most entertaining about this book is the plotline. 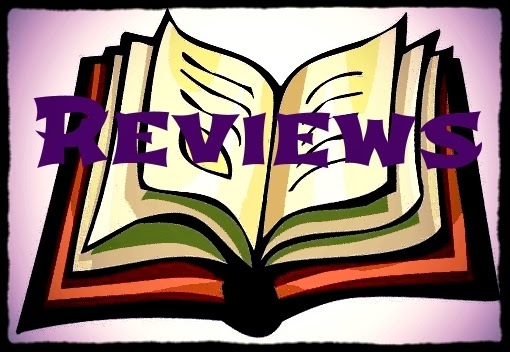 Going into the book I thought it was just your average romance novel but it is much more adventure, mystery, and action all bundled up with a love story. There is much about the book that is good and there are some things about the book that some might find hard to read as well. Ms. Barrett does a wonderful job creating vivid characters that jump right off the page. As a reader you can tell that Barrett is interested in history, particularly Mary Queen of Scots and that she loves words. The words at time were a stumbling block as I had to look up definitions and pronunciations of long forgotten words. In the end I did feel like she was trying too hard to find a unique sentence in one moment and then repeating the same word 3-4 times in the course of 2 sentences. I found some of the use of language beneficial to the intellect of a couple of the characters but it could become cumbersome to a reader not familiar with the words. Barrett does do a wonderful job of battle of wits between the protagonist and antagonists. There are some odd choices of references. I am a Princess Bride fan and noticed a few references smuggled into the story as well as some Shakespeare references and a few other modern references that twist this period piece further into a work of fiction but if you take the author’s message at the beginning of the book to heart and roll with the punches this book is a indeed a “fun romp through the Scottish countryside." I would recommend it. So as Jane Carter Barrett says, “While we are romping, let’s also make a pact: anachronisms, prochronisms, and all forms of social, political, and fashion correctness shall be cheerfully overlooked in favor of frolic and adventure.” This is the statement that encompasses this novel.